It’s the most wonderful time of the year. Finals are over, we can go home where mom cooks instead of leaving the house to go to the dining hall, and of course, Christmas! Some people go home to a job to work at over break, but those paychecks don’t usually come before Christmas presents have to be purchased. This year, I’m taking the creative way out. Here are some tips to find presents without spending a fortune. Be a member. Since black Friday, I have received an email from Michael’s every day about deals for the day, plus a couple of exclusive coupons for members. There are a lot of stores that do things like this, so sign up! Use Coupons. There are coupons for individual items and for the entire bill. A common one that I find is a percentage off one item that can’t be combined with other coupons for that purchase. But did they ever say you can’t buy something and get back on line? Or come back the next day to get another item? Nope! It’s all about being creative and bending the rules a little bit. Look for sales online. Those sales in the store are online, too! If you can’t get to the store, online shopping is an option, too. Google can be a great tool to help you find coupons for free shipping. Plus, you can ship everything home so that those presents don’t have to take up space in your bags or car. Become crafty. With all of this work at the end of the semester, it helps to have something entertaining to do to take your mind off it all. Why not still be productive while you take a break? Take a stroll around a craft store or explore the internet for some inspiration. 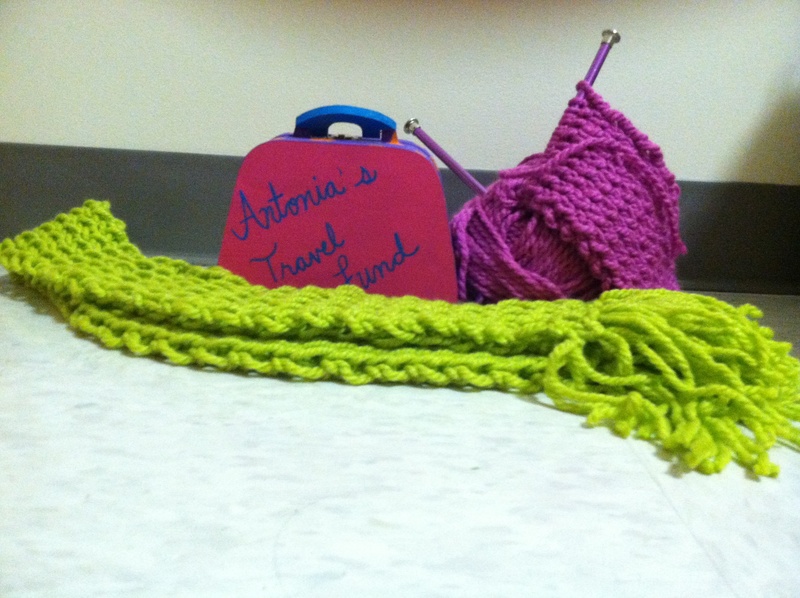 This year, I knitted scarves for some of my friends and made piggy banks for my cousins. Don’t know how to do something? Well, you tube is a great place to start for a “how to” video! ← Leave With Christmas Spirit!